It's that time again. The nail biting day before the US elections. I've been keeping pretty well-appraised of developments throughout the campaign via two of my favourite television shows; The Daily Show, The Colbert Report, with the occasional dose of Bill Maher. It seems abundantly clear to me that President Obama needs to win a second term to prevent a regression to the unnecessarily aggressive foreign policies of Bush. I don't fancy seeing more pointless wars fought in the name of some outdated idea of a super power. Not to mention the fact that a Romney-Ryan Presidency cannot be good for women. I won't write at length about it here, as it would inevitably turn into an angry rant... I can feel my heart rate accelerating just thinking about it... Republicans aren't good for my blood pressure. So I'll be on tenterhooks until the results come in some time in the early hours of Wednesday GMT... Let's hope we can be celebrating a Democratic victory come mid-week. Aside from the fact that I live with an American (ok, technically, he's only half American), I suppose I can attribute my particular interest in the Presidential Election to my growing appreciation for American culture. In many ways, this began with my visit to New York City a couple of years ago (my introduction to Allen Ginsberg's Howl being a particular highlight). I wrote a couple of posts about it for Love Audrey's blog. You can read about my unexpectedly difficult journey here, and my Literary Lady's Guide to New York here. I've been dreaming of the city again of late, undoubtedly inspired by the fact that I'm going there on holiday with my Mum and brother at the start of December. 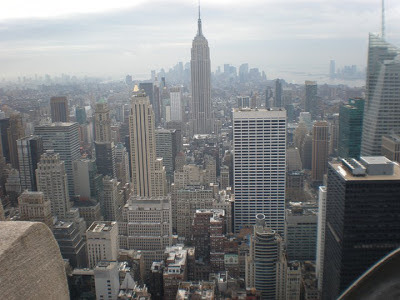 All being well, in four weeks time, we'll be enjoying our first day in the city, surveying the area from the height of the Empire State Building. 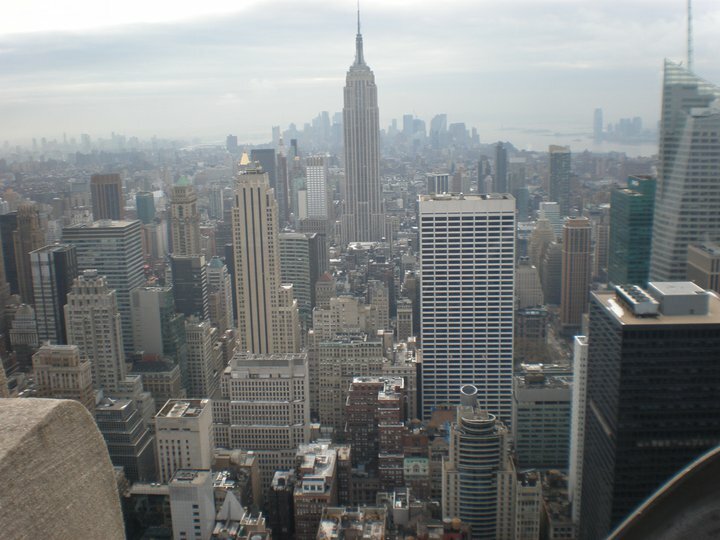 I'm looking forward to hot-dogs from street vendors, book shops, spectacular views, being an absolute tourist, New York pizza, brinner*, ice-skating, and seeing the look on my Mum and Nick's faces when they see Times Square for the first time. I truly love this city. I hope the city will have recovered before you go... And I hope Obama wins. So fingers crossed. Thanks Kolbrun! Think we'll still be seeing the damage when we get there, but hopefully things will be getting back to normal.